Myrtle. In September we set off for the Crantock Bay with my mother, Joanna and a friend of my mother’s called Myrtle. Myrtle was great fun and we had a wonderful time on the beaches and cliffs. Myrtle had been a spinster for most of her life. Her father has played at the music-halls, I don’t know what exactly, but she told us she had a considerable archive composed of theatre programmes, posters and some of his costumes. She also had a most extraordinary collection of ornate tortoise shell and horn hair combs and we never saw her wearing the same one twice. Her closest friend was married to an ex-Naval officer and they lived in great style in a large house in Kew. The Naval officer was, sadly, an alcoholic. He simply sat in a chair drinking all day long, sip by sip, I do not know what his tipple was but he must have been totally stoned by the time he went to bed each day. His grandfather, had been an admiral and so had his father, and one of the rooms in their house was full of naval memorabilia, two large oil portraits, dress swords, medals, uniforms, etc. One day Myrtle arrived on a visit to find that he had sold the lot to someone who had called at the front door, all for the princely sum of £150. The caller must have thought it was Christmas.He never left the house, though Kew Gardens was on his doorstep. Myrtle’s friend, the Naval Officer’s wife, died. The alcoholic duly proposed to Myrtle whom he had met many times in the company of his wife. He was clearly looking for a cook and housekeeper. Myrtle had retired on a minute pension and had gone to live in Southwold, of all god-forsaken places, in very straightened circumstances. The alcoholic, whom I think she was rather in awe of, offered her financial security. She took it. I think she had some affection for him. They married and he sold up his beautiful house in Kew and they went to live in a house on the main street in Southwold. Bad move. Bad everything. I think, looking back that much of the blame must rest on Myrtle’s shoulders. She thought she could get him off the booze by getting him to the sea. She couldn’t. The house she chose for them to live in, on the main street and was next to a Chinese take-away and the stink from the kitchens and the sordid heaps of rotting food with attendant rats in the alleyway between their two properties was disgusting, not to mention the noise of pans and raised voices throughout the day and well into the night. All this information conveyed to us in Cornwall.Their house became a nightmare and worse was to follow. Her husband refused to move. He had found his cook and housekeeper and sat in his armchair, day after day drinking himself to death, choosing to turn a blind eye to their neighbours. They had no social life. She was told that on no account was anyone to be invited to the house and if she wanted to meet anyone she would have to go out to them. Mother who was quite close to Myrtle, wanted to visit her in Southwold and to see their home. Myrtle lived in a five-bedroomed house, so mother thought she could stay with them as Myrtle had many times stayed at our flat and the prices of hotels in Southwold were prohibitive. But mother was told of the ‘no visitor’ rule and that she would have to stay at a local hotel and Myrtle would, when she could, sneak out and come and visit her there. There was no way my mother was going to agree to this, so they rarely met, except for the occasional holiday when Myrtle joined us in Cornwall. I don’t know how her husband looked after himself during these periods, but he was obviously more capable than he appeared. Every morning and every evening whilst in Cornwall Myrtle would have to phone him and we could hear her commiserating with him and apologising for not being there to look after him. Meanwhile the house in Southwold slowly fell into ruin. If anything went wrong in the house, he refused to have anyone to come in to fix it, so I presume that after a while as both grew older; the house became something of a tip. Eventually he died and Myrtle, whose life must have been hell nursing a deranged alcoholic caught pneumonia and had to go into hospital. I suspect the doctor and social services must have visited her home and seen that she could not return there as it was in such a dilapidated state, so she was found a suitable Care Home. Before she left the hospital she went back home for a few hours to collect what she wanted to save. I think she was in a very poor physical state at the time. Anyway she filled a vast number of cardboard boxes with her ‘treasures’, but when later she showed us the contents of the boxes, they consisted of what can only be described as rubbish.Anyway she settled in her new care home, a single room with bathroom attached surrounded by the most beautiful grounds. She never left her room from the day she arrived. We visited her there once, she would have done Miss Haversham proud. There she sat, and had been sitting for months in a room full of cardboard boxes full of her treasured rubbish, the only pieces of value, if indeed they had any value, being her father’s archive and her collection of tortoiseshell hair combs. She asked me to pull some of the boxes out while she rummaged about in them. She then dived into one box and presented us with some ghastly cheap foxed prints of London which we dropped off at a charity shop in Southwold. We hadn’t come to get a present; all we wanted was to see the Myrtle we knew as of old and that she was being properly cared for. As she had broken some teeth in her false teeth, we both had to sit in chairs arranged slightly behind her so that she did not have to face us. When we thought of the lively and jolly Myrtle we had known years ago and now to see this sorry sight of her shielding her mouth with her hand and rattling on about her beloved brother and his family, who had never once thought to visit her in London, Kew or Southwold, made us wish we had never come as she was clearly upset most of the time by our visit. But we decided we were not going to give up on her and I thought maybe I could get the home to find a carpenter to make her some shelves so that she could display her sad treasures on them and do away with the large dusty cardboard boxes which I would have thought were a fire hazard. In due course we arranged, as before, to say in a local hotel but just before we were due to arrive, the home rang to say she did was unwell and did not feel up to receiving visitors. So we cancelled. We never saw her again. She died not long after and her brother with his whole family, so we were informed by the care home, had appeared within hours to collect their inheritance which was probably considerable financially but if they expected to find anything of value among her treasures they must have been disappointed and I suspect dumped most of the contents of her boxes, into the nearest tip including her father’s archive which I had tried unsuccessfully to persuade her to donate to the V&A Theatre museum collection. 1979. July. Tuscany. Tour of Italian Hill towns with Peter Berresford,Perugia, Urbino, etc. For some reason, I never made a record of this holiday and all I have are two photographs of us in some hill town. May 1979. Swan Hellenic Tour of Roman France. We flew to Marseilles and took a coach to Avignon. Visited the 14th century pile called the Palace of the Popes with its incredible frescoed papal apartments. To think that the popes (7 of them) abandoned Rome to set up papal rule in Avignon from 1309-1377. Some of the painted rooms were magnificent. Thursday to the Pont du Gard (1st century AD) one of the finest remaining Roman aqueducts which bridges the Valley of the Gard in three tiers. It is the highest of all elevated Roman aqueducts, and, along with the one at Segovia is one of the best preserved. Always wanted to climb onto a Roman aqueduct, so we left the party and did just that. There they are at the bottom ! So that is what the interior of the aqueduct looked like. We then went on to Nimes. Visited the Roman Amphitheatre and the magnificent roman temple called the Maison Carree containing a museum of antiquities. Built during the Augustan age. We spent the afternoon in the formal gardens known as the Jardin de la Fontaine which contains the so-called Temple of Diana, (above) which in fact was probably part of the Roman Baths. Then did a treck to see The Porte d’Arles, built in the time of Augustus. Not the most worthy monument we had seen. Friday visited Montpellier to see the Musee Fabre, one of France’s best galleries outside Paris. Delacroix, Ingres, Brueghel etc. What a feast. Then on to Peyrou to see the Arc de Triomphe (1691) which was also the terminal of the Roman aquaduct. After lunch we visited Aigues Mortes, a medieval fortress town. Gard contains St Gilles Abbey with a magnificent west front. It was dished during the Wars of Religion when the Hugenots took shelter in it and it was then almost destroyed during the French Revolution. 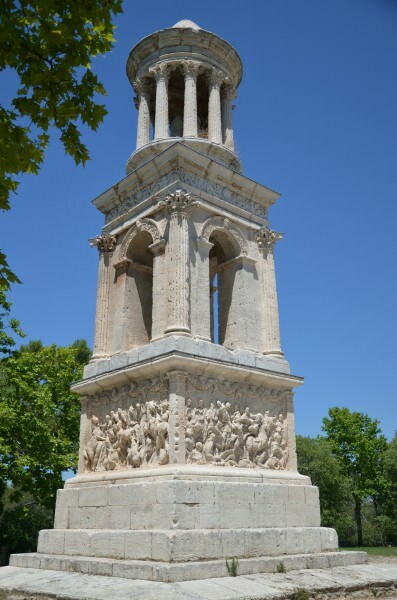 Saturday to Arles mainly to see the Roman theatre and St Triophine Church which we had visited before. Thence to Montmajour to see the 12th century cloisters of the church. 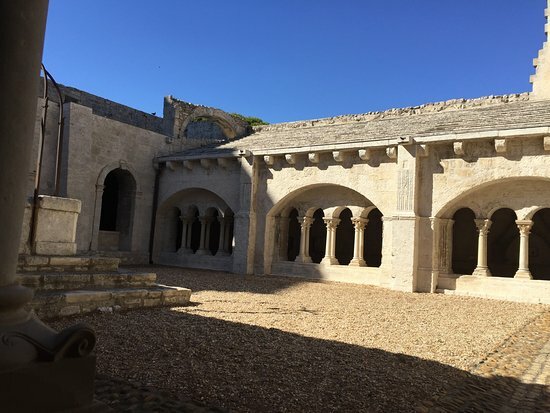 Sunday to visit remnants of the castle at Avignon-les-Baux, the village became a center of Protestantism and even tried a rebellion against the crown. In 1631, tired of conflict, the people negotiated with the king for the redemption of the castle territory and the right to dismantle the fortifications. Louis XIII consented. Castle was dismantled. And then on to St Remy to visit the museum in the Hotel de Sade to see the Roman finds from Glanium; very little of interest. Then on to Glanium itself, first to see its two spectacular pieces Roman relics. The Triumphal Arch at Glanium. The top part of the ach is missing. The panels represent chained captives. The arch is believed to commemorate Julia Caesar’s subjugation of the Gallo-Greeks of what is now Marseilles in 4 BC. The Mausoleum is 19 m high and is thought to commemorate Gaius and Lucius Caesar, the adopted sons of Augustus, both of whom died young. 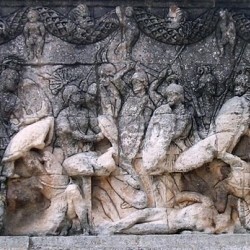 The relief panels are all death related, Greeks and Romans fighting over the body of Patroclus, Achilles killing Penthesilea, Death of Adonis, and massacre of the Niobids. The ruins of Glanium are extensive and contain buildings dating from the Greek colonisation of the 2 century BC. Monday to Fontaine de Vaucluse much loved by Petrach who retired here from 1334-1341. Described as a ‘sylvan haunt’. The fountaine is a still pool at the foot of a cliff. Then to Gordes to visit the Renaissance chateau which contains the work of Vasarely – an acquired taste. On to Rousilion and then to the spectacular Gores de la Nesque. Tuesday. Vaison la Romaine to visit the Roman Theatre and excavations. 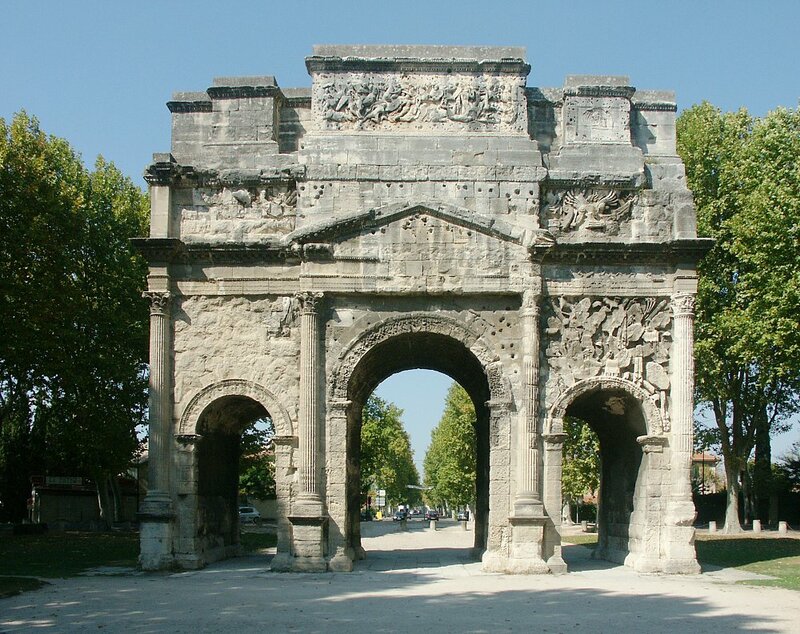 The arch commemorates the founding of Arausio (Orange) as a colony for Roman veterans and is renowned for its many decorative sculptures of naval and military trophies, battle scenes etc. The Roman Theatre, Orange, with its colossal statue of Augustus which was placed there in 1951. This south façade is almost unique in its completeness though it has lost all its facings. The veterans were obviously well served. The theatre is still in use mainly for operatic productions. Wednesday. Aix en Provence to visit the Musee Granet, with its superb collection of mainly French paintings. 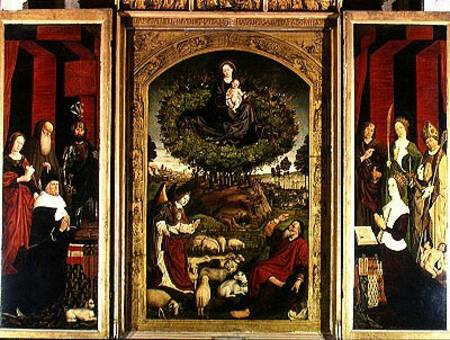 To the Cathedral to see one of its jewels, the magnificent painting by Nicolas Froment dated 1476 showing Rene d’Anjou and his wife Jeanne de Laval praying, the central panel showing the Moses with the Burning Bush with the Virgin and Child somehow appearing to him. Delightful 12th century cloister. After lunch we visited Cezanne’s studio and returned via Montagne Ste Victoire one of his favourite subjects. Thursday, Drove to Carcassone and stayed at the Hotel Terminus. Our room at the back sparsely furnished and grim and overlooked vast railway sidings, but mercifully, was reasonably quiet. Time had stood still at the Hotel Terminus and the dust had accumulated since Edwardian times. It was here we became friendly with a member of the party, an American, Lucy Mitchell an art historian. I helped her to get into her room which needed about three keys to open various doors to gain access. Her vast splendid room under 6 inches of dust, airless and hot, with huge cobwebbed velvet drapes overlooked a very, very noisy street, paint peeling, bathroom….. it was a room from hell. She was appalled and we became friends for the rest of her life. 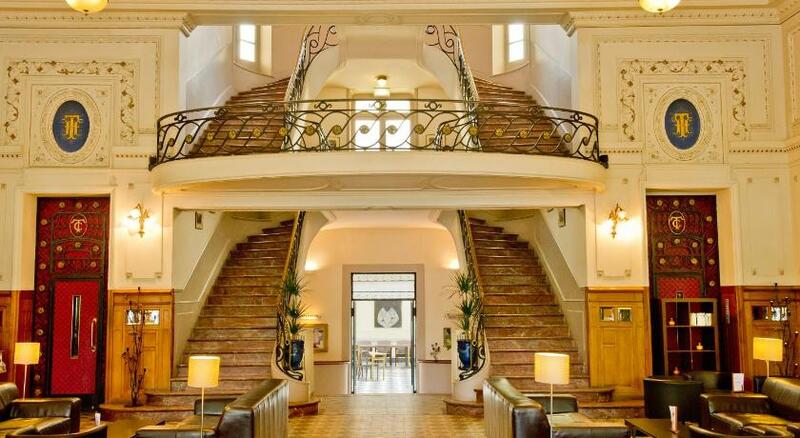 I see from recent photographs of the hotel that it has been updated and vastly improved. I remember this rather grand staircase. Friday. Carcassone. A medieval fortress restored by the architect Eugene Viollet-le-Duc in 1853. Very quaint but strangely rather lifeless and too prettily tidied up. Carcassonne became famous in its role in the Albigensian Crusades when the city was the stronghold of Occitan Cathars who were crushed by the pope’s crusading army in 1202 and were forced to surrender. The walls then fell into utter ruin until Viollet-le-Duc virtually rebuilt the place. When wandering around the streets, we were invited into one of the houses by its owner, an elderly lady who simply wanted the company we suspected and to try out her perfect English and just to be hospitable. We were invited to have tea with her and she served up scones and cream. She had lived in England for many years during the war, she did not explain why. 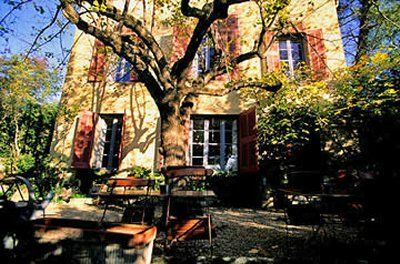 The house, which she showed us around, was very old indeed and she had filled it with beautiful furniture and paintings. Strange how one has these encounters. Saturday. Perpignan for a roam around the town. Somehow arrangements had not been made to visit the art gallery, but had fortunately we had already seen it. Then on to Eine to visit the magnificent Cathedral of St Eulalia (1042-68) with its beautiful cloisters covered in carvings from the scriptures. This carving in the cloisters shows the three kings, their horses on the left, being shown into the presence of King Herod prior to their attending the nativity. Memorably, members of the party wished to find a toilet, and the only one that could found in the whole of Albi was a sordid hut at the back of the cathedral with its door half hanging off. What awaited inside I do not know but it brought to mind for those who entered it, the sort of hell they had seen in the Last Judgement in the cathedral, Lucy, for one, said it left her scarred for life. But then our adventures with the beastly toilets to be found all over France is worthy of a chapter in itself which I shall not pen. What is it with the French and their disgusting toilets? And then onto the Toulouse Lautrec museum. in the Palais de la Berbie, formerly the Bishops’ Palace, a rather formidable fortress completed at the end of the 13th century, containing over 1000 works by Toulouse Lautrec, many donated by his mother. Monday. To Toulouse to visit the Basilica of San Sernin (1075) with its Porte Miegeville (c.1120)with its tympanum representing the Ascension. Moissac with its magnificent sculptures. The prophet Jeremiah, positively dancing in a swirl of robes and sporting his magnificent moustache and beard. Quite one of the most extraordinary sculptures we had seen. Tuesday flew back to London. Mrs Thatcher and the GLC – the first rumble of thunder. When Mrs Thatcher first took office in 1979 she announced that she proposed to shake up central and local government and to free local government from Whitehall red tape. The first effect it had on me was that I had to make a list of all the instances, in my area of work, where the GLC had to go to central government for consents before carrying out the powers granted to the GLC by the government. The Acts of Parliament which empowered the GLC and Local Government generally were peppered with clauses in Statutory Instruments which required the consent of the minister before the power could be exercised. Many affected the laws governing open spaces with which I was concerned. I drew up a lengthy and detailed report and it was added to the reports drawn colleagues. Rumour had it that once Mrs T had seen what power she and her ministers had she changed her mind and the report and the idea of relieving local government of the burden of having to seek ministerial consent was scrapped. 1980 – Washington, USA. In April 1980 we, my mother, William and I, decided to visit the United States for the first time. We booked in at the Howard Johnson Motor Lodge in Washington opposite the infamous Watergate building and fortunately had adjoining rooms with my mother.Central Washington was within easy walking distance. The parks and gardens were bedecked with orange blossom trees. 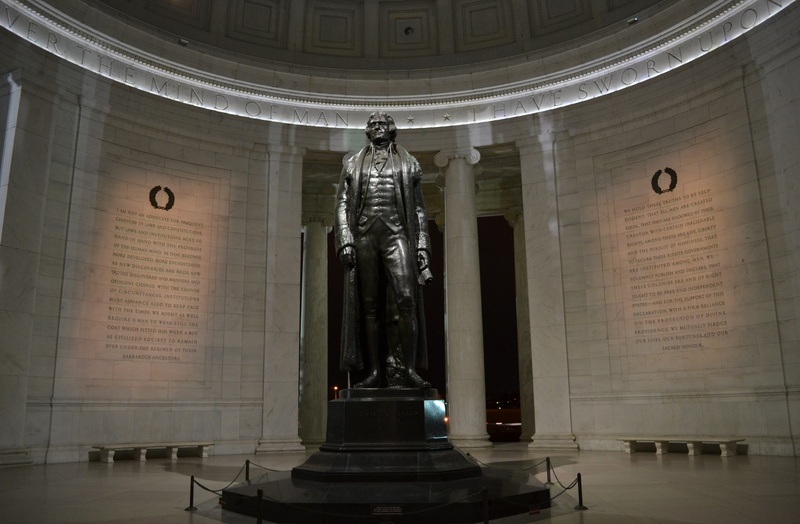 We walked past the John F. Kennedy Centre to Constitution Gardens to see the remarkable Lincoln Memorial and then across West Potomac Park to the Jefferson Memorial, the whole air filled with drifting blossom petals. From there to the National Gallery of Art where we had a self-service canteen lunch; wonderful food., very efficient, very crowded. William was introduced to iced tea, not something I liked. 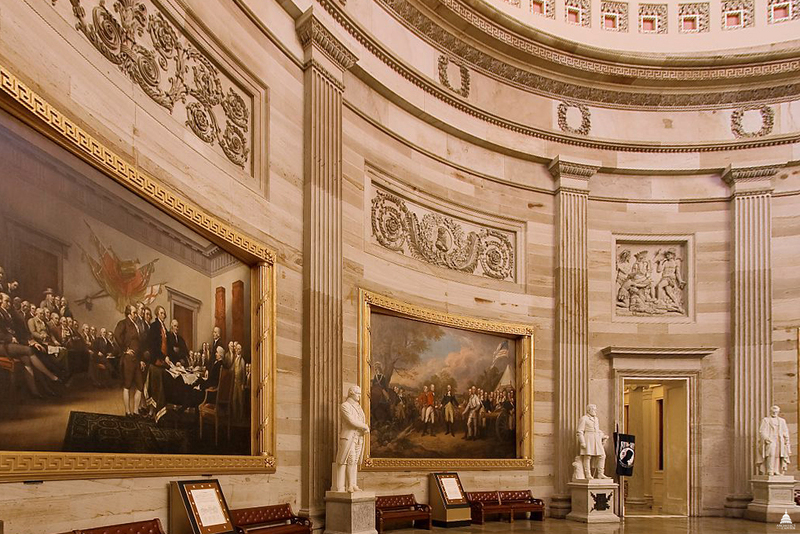 We then walked to see the exterior of the U.S. Capitol building and a few of the public rooms inside. We must have walked all the way back to the hotel. My poor mother must have been on her knees. The next morning we went to the Ford Theatre where Lincoln was assassinated in 1865 and where we had a lecture from one of the guides, and bought some tickets for Joseph & the Amazing Technicolor Dreamcoat which was playing at the theatre later in the week. We then went on a visit to the National Gallery of Art to see their great collection.. What can one say about such a collection ?. When I consider that they started collecting long after the British, they certainly made up for lost time. Room after room of masterpieces. Had lunch again at the gallery and did a second visit. We then returned to our hotel completely exhausted and on our knees. The following day was positively restful. The next day we went on another coach trip to see Colonial Williamsburg. I see it cost $110 for the three of us. We walked through the beautiful streets, everyone other than the tourists in full 18th century costume. Had an excellent lecture in the Governor’s Palace (below), flowers and blossom trees everywhere. The following day, another excursion to Thomas Jefferson’s home Monticello. First we called at Manassas, one of the Civil War battlefields (1861). Then on to the University of Virginia, very neo-classical. 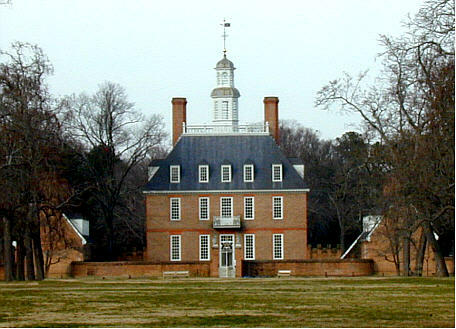 Founded and designed by Jefferson in 1819. Stopped at the Michie Tavern Museum (1784) where we had a ‘traditional’ lunch consisting of Colonial Fried Chicken, blackeye peas, and stewed tomatoes, Green Bear salad, all quite delicious. 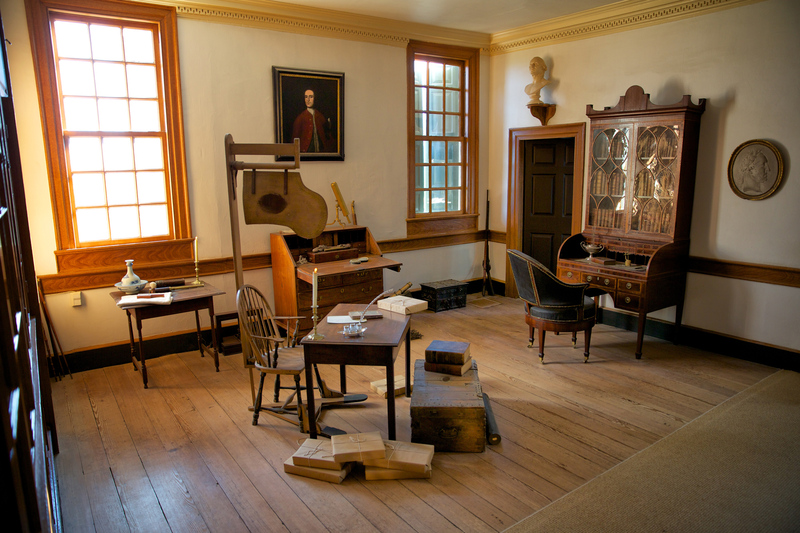 and finally to Monticello – designed by Jefferson, again very neo-classical and very comfortable. The following day we had a tour of the White House and then went on to Dunbarton Oaks with its beautiful byzantine and pre-colombian collection and enchanting garden, full of flowers, blossoming trees and fountains. That night we attended Joseph & the Amazing Technicolor Dreamcoat of all incongruous productions to see on that stage. It was all very jolly The following day we saw the Corcoran Museum collection with works by Delacroix, Degas, Gainsborough, Sargent, Claude, Monet, Picasso, Edward Hopper etc. we then wandered around the parks and monuments in Washington till it was evening and then flew back to London. What an incredible experience. We were besotted with the USA and would return many times. 1981 – June Germany: Munich and Bavaria. We decided that we had seen far too little of Germany and thought Munich would make a good base. So we set off for Munich and booked ourselves into a rather grand hotel which has two bathrooms and a spacious sitting room no less. Our first stop was the Glypothek to see the classical sculpture collection and the state collection of antiquities in the building opposite. And what collections. The pediment figures from the Temple of Apheia from the island of Aegina, the Barberini Faun c.220 BC, a room with a forest of Roman busts, many of the emperors and anyone who was anyone in Imperial Rome. The whole of the following day was spent in the Alte Pinakothek and then to the Neue Pinakothek. What incredible collections. Room after room of some of the world’s greatest paintings. The following day we spent wandering around the city, including the Residenz and fell into its Treasury which contains among other jewelled baubles the crown jewels of the House of Bavaria. Next day visited Nymphenburg the ravishing summer palace of he Bavarian sovereigns, a confection of silver and gold with an incredible banqueting hall, all gold and pale green and a gallery of ‘Beauties, containing portraits of all the most beautiful women at the court of King Ludwig I. It also has magnificent gardens where we had a memorable lunch, found a shady bench under a tree and both fell asleep. Linderhof. A Venus Grotto with lake and artificial stalactites and stalagmites, with a fantasy painting of Tannhauser’s Venusberg. The lake has artificial waves and the whole grotto has constantly changing lighting effects. Follow that. Hohenschwangau Castle. Apparently King Ludwig II spent most of his time in this castle which was originally built in the 12 century and was much damaged in the Napoleonic wars and then virtually rebuilt. It is very Gothic. There is a Hall of the Swan-King (Lohengrin) but created long before Wagner’s Lohengrin. Wagner and King Ludwig apparently spent a great deal of time together in Hohenschwangau. The paintings are the equivalent of scenery painting in a theatre with a bit more finesse. The Hall of Heroes with it gilt bronze table decorations is, well, very gilt. The third castle is Neuschwanstein. Pure dream fantasy. How to describe it, the view from afar is breath-taking. Everything about Ludwig’s palaces is breath-taking. It is what everyone imagines a fairy tale castle should look like. Magnificent marble floors and pillars everywhere, it even has a throne room looking like a Byzantine chapel. There is a balcony with what must be the most beautiful views anywhere in the world. Most rooms are wood panelled and the walls covered in quite dreadful vast paintings many related to scenes from Wagner’s operas, Tristan and Isolde, The Mastersingers of Nuremberg, Parzifal ,etc., though apparently Wagner never visited. There is a vast singer’s Hall with huge chandeliers. The castle was centrally heated from 1884. And finally you cross on a boat to an island where he built Schloss Herrenchiemsee. The castle contains replicas of many of the rooms in the palace of Versailles and I mean exact replicas, including the Hall of Mirrors and even has one up on Versailles in that it has a replica of the Ambassador staircase which was destroyed at Versailles. It was begun in 1878 and the cost was vast. The king only stayed there once from the 7th to the 16th September 1885 and met his death in Lake Starnberg on 13 June 1886. It is quite impossible to describe the interior, it has to be seen to be believed. Ludwig even began to replicate the Versailles gardens, fountains and sculptures. And then you go through a door and meet huge numbers of unfinished rooms just the bare stone or brick walls a real shock to the system. After our visit we returned in the evening to hear a concert in the Hall of Mirrors, all the chandeliers lit. Wow. 1981 – Ted and Joan, Jill and Eric. Ted and Joan visited us and we went on holiday for a few days to Norfolk, to visit some churches and country houses and then later to the Crantock Bay Hotel. I think it was the first time William’s father had been in the area since his honeymoon. We stopped off on the way to see Stourhead and when in Cornwall we took them to some of our old haunts, Cothele House, Lanhydrock House and Killerton Gardens and somehow managed a visit to Goodrich Castle (below). Ted and Joan returned to England in September 1981 to celebrate Ted’s birthday which William had organised at Minster Lovell where we were joined by a group of relatives, mostly members of the Castell clan and the whole celebration went very well. Among the guests were their friends Jill who had known Peggy and her family for all their lives and her husband Eric whom Ted had known all his life. Jill and Eric had married quite late in life. Many years later in her widowhood Jill told us the tale of her marriage with, I am sorry to say, bitterness in her heart. But it was obviously preoccupying her mind and so it all came out one day. Apparently after they had married children came along quite quickly. They lived in a flat in London. Jill found to her horror that Eric was not going to change his bachelor ways after the marriage, and so every evening, after returning from work and after having had his dinner served to him, he would be off to his club and returned home late at night, leaving Jill and the children alone. This also happened at weekends where she and the children were virtually abandoned by him. Jill had the money, and I presume one day she thought that the only way of breaking this, to her, untenable situation, was to move. So she bought a beautiful house in Moor Park, quite near where Ted, Peggy and William lived, and far from Eric’s club and presumably they settled down. The terrible thing is that after all the years they had spent together and long after he had died, the memory of his treatment of her during their early years of their marriage, still rankled and troubled her. Towards the end of his life she had decided that the house should be in both their names so gifted half to him thinking that it would be easier for him in the event of her dying first. Anyway for whatever reason the deed was drawn up and Eric became the half owner of the Moor Park house which was Jill’s pride and joy with a magnificent garden which she had created. However, Eric died first. As his estate was not going to be very large, they had decided between them that he would leave his whole estate to their children, they had forgotten about the house. Jill then found to her horror that because she had gifted half the house to him, the children were entitled to half the value of the house. I am sure the children did not press her to leave, but leave she did, sold her beloved Moor Park house and I presume half the value went to the children and she moved into a small house in Northwood. Which is where we often visited her and where she related the sad tale of her marriage which had in her eyes been a disaster from the start. Sadly, I think they shared little in common, for instance Eric loved classical music and Jill could not enjoy it with him. Eric loved dogs and again I think Jill just tolerated them. Eric often took William to concerts in London when he was young and sowed the seeds for William love of music for which he was grateful. We were so shocked that Jill had carried this bitterness in her heart all her married life and felt she needed to pour it out to us. Jill had a collection of portrait miniatures, mostly of members of her family. On one of our visits, she asked me to help her dismantle some of them to see if there were any inscriptions on the backs. One oddity was of a sitter she did not know and we discovered it to be by, I think, Richard Read (1778?-1828?) a convict who had been sent to Australia in 1813 where he eventually ran a drawing school and did portraits of society people including the Governor and his wife, so very important to Australia. Anyway she though Australia would be a good home for it as there seemed to be no family connection, so she had it professionally photographed and sent to the National Gallery of Australia to see if they would be interested. She received no reply. From what I know of curators of galleries, no surprise there. Goodness knows where it is now. We visited Jill a few days before she left Moor Park, as it would be the last time we would see the house and she plucked off the wall another miniature which had no family connection and gave it to us, as she knew we collected miniatures. It is by Sir William John Newton (1785-1869) and is a portrait of Isaac Newton a youth holding a book, presumably one of his relatives. It is a beauty and has pride of place in our collection and is a constant memory of Jill a dear friend with whom we had become so close at the end of her life.